Your little superhero will find his food, sandwich and snacks packed fresh and secure in this cool Incredibles insulated lunch bag for boys. 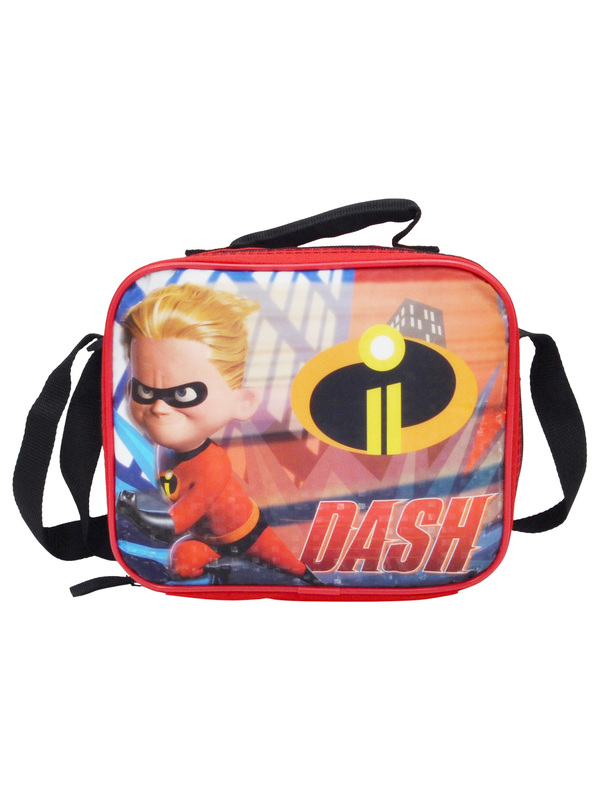 Boys The Incredibles Dash Insulated Lunch Bag with Shoulder Strap. Features a reflective graphic print of Dash on the front. Includes main insulated compartment with zipper closure, carry handle and adjustable strap. Perfect for kids to take to school, field trips, vacations and more. The spacious interior keeps all your food fresh and secure. Gray insulated interior. Made of polyester and PVC-free Measures approximately in inches 10" x 8" x 4" Officially licensed Disney merchandise.